I've been to Hong Kong twice but I ever tried this egg waffles before. So, I won't miss it this time, on my first night, I went to Mongkok. I just can't wait to have one. 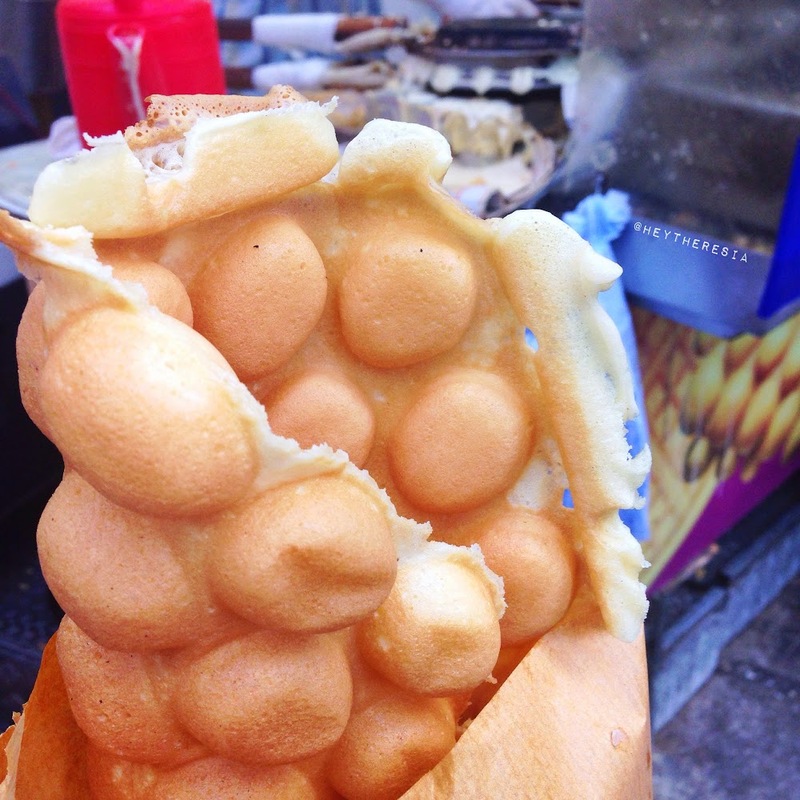 Egg waffles usually sold by a street vendor along with the regular waffle that usually have some toppings to be selected. As expected, it was good but not as good as the one from street food vendor close to the Times Square, it was my second Hong Kong egg waffle that I had the day after. Light, soft, and crispy waffle, so yummy. You don't need extra topping as it's actually good without additional flavor. I am personally a fan of this kind of waffle that is actually popular in Indonesia lately.